Stuck in the Bussijaam (bus station) waiting for the next bus to Riga in Latvia, we couldn't get on the 10 o'clock so you have to put up with an extra blog. Free Internet, slow but free. 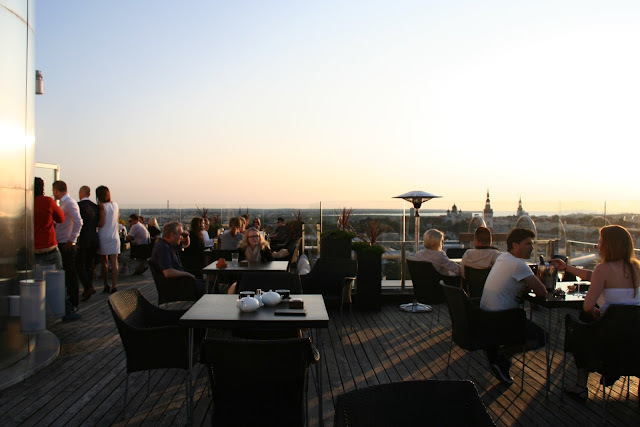 We really enjoyed the little we saw of Estonia in the four days we were here. The people were lovely once you connected and got over their reserve. The old town was particularly beautiful, still worn with use and not too theme park yet although I'm sure that will come. A Subway was located out of the old town in an austere soviet period building but good old Macca's was well an truly entrenched in the old town in a quaint old build very close to an opening in the ancient wall. Tourists flood in with every cruise ship each day but don't stay for much longer than a day and are off overnight to another city to repeat the process again only in a different town. I wonder if they are able to distinguish which town was which after the trip. The food was great apart from lack of fruit except in the hotel. Breakfast there cost 15€ each which was excessive I thought and I only went there this morning. The fruit was worth it. A banana and a bottle of water cost between 4-6€, linen was cheaper. Alcohol was expensive but the drinks were generous sizes, lucky I drink water! Michael, Rebecca and Edward leave today for Australia. I feel for them all in Kolmården, the house will seem so empty after a few weeks of intense emotional activity. I remember those days of leaving when my kids were young, granted it was only to Perth but I was lucky to visit Brisbane once a year. It was hard to leave children in various place in the world as well so my heart goes out to them all today. I am glad there are two new grandchildren nearby. It was Viggo's christening Saturday, I hope we see a photo of the three of them together soon. 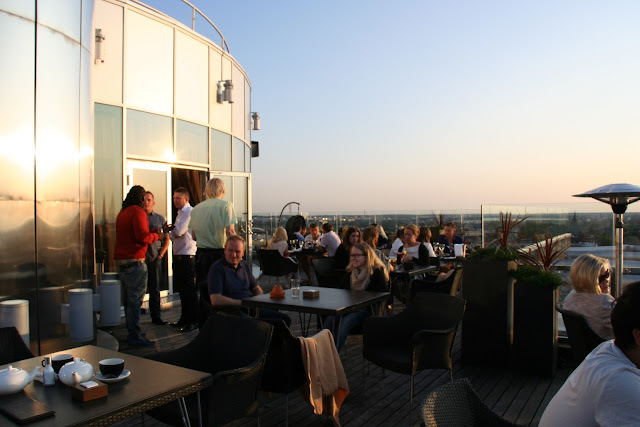 One very pleasant activity we had in the evening was to go to the 24th floor of our hotel for a drink. We even had dinner there last night. The view was wonderful and of course the sun never seems to go down so you can stay forever if you'd like. If you get cold they give you a blanket. Below is a photo that has something wrong with it. Australian marbled beef is illustrated with a shot of lamb. 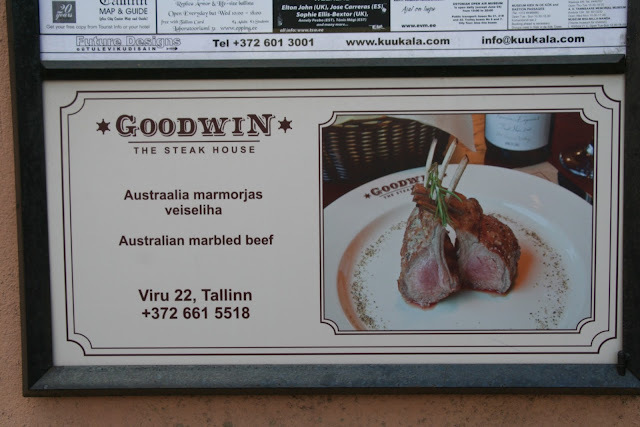 What Aussie would go to Estinia for beef or lamb anyway. Well we are going for our excitement for the morning, we have 6€ left, Latvia has the Lat. so we are splurging on a coffee with still two hours until the next bus. There are no English written newspapers or magazines in the shop so it's going to be a long couple of hours. If anyone is reading this please post a comment. I miss hearing from my friends and family. All you have to do is post anonymously, it is a bit of a fiddle as you have to make a google account I think but if Geoff and I can do it without Kate's help then anyone can. Love to all.